Sliced Smoked Turkey Breast on a sub. 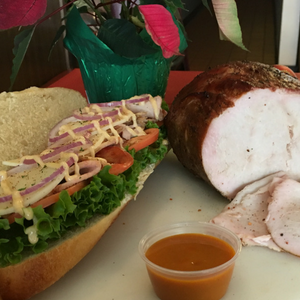 Platter includes 8- 3 inch sandwiches with fixings and our special sauce on the side. Select (1) of our signature sauces to go along with the special sauce that will be included.